U.S. copyright law allows other musical artists to create their own cover version of a copyrighted song without seeking the permission of the original copyright owner. To qualify for this limited exception to the owner’s exclusive rights, the cover artist may make limited changes to the musical arrangement to reflect the cover artist’s style. This arrangement, however, cannot change the basic melody and structure of the original song. Cover artists must also pay a compulsory license fee set by U.S. law. These cover songs are not entitled to copyright protection as derivative works. A more substantial rearrangement of copyrighted music constitutes a derivative work. If the new composer does not own the copyright in the original song upon which the arrangement is based, he must obtain permission from the copyright holder to create such a work. The original copyright holder is not required to grant permission, and may charge a licensing fee for such use. Once the arrangement is recorded or written in sheet music, the arranger has a copyright in the new arrangement as a derivative work. This copyright does not extend to the original work itself, and only covers the copyrightable changes or additions the new arranger created. Once a copyright expires, the work is in the public domain and may be freely used. Copyright duration is complex, and it is the legal responsibility of the person creating a new arrangement to ensure the original work is not protected by copyright. If the original music is in the public domain, a new arrangement of that work would be entitled to copyright protection as a derivative work. As with new arrangements based on copyrighted works, the copyright of the arrangement protects only the changes or additional original creation of the new arranger. Even though the original work is in the public domain, copyright protection still does not cover the original work upon which the arrangement is based. 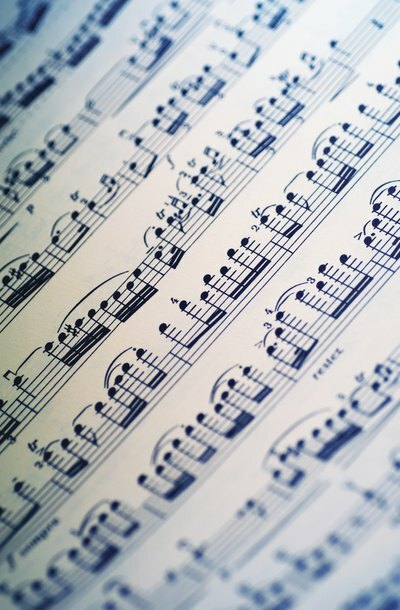 Copyright protection exists in an arrangement the moment it is fixed in any tangible form, as by recording the arrangement or writing it in sheet music. As a copyright holder, the arranger has exclusive rights to reproduce, distribute and perform his arrangement. If the arrangement is recorded, either the arranger or the producer of the recording acquires an additional copyright in the sound recording of the song. U.S. law does not require these copyrights to be registered. However, copyright registration creates a record of ownership and allows copyright holders to sue in federal court if their copyrights are infringed. A copyright is a legal right granted for a limited time to the creator of an original work held in a fixed form. The creator gains the right to exclude others from copying, performing, selling, displaying or making a derivative version of the protected material. Federal law controls the length of time a copyright will last. The period of copyright for a movie depends on factors such as when the film was created, when it was published, whether there is a single creator or multiple creators, and whether the creators are known or anonymous.